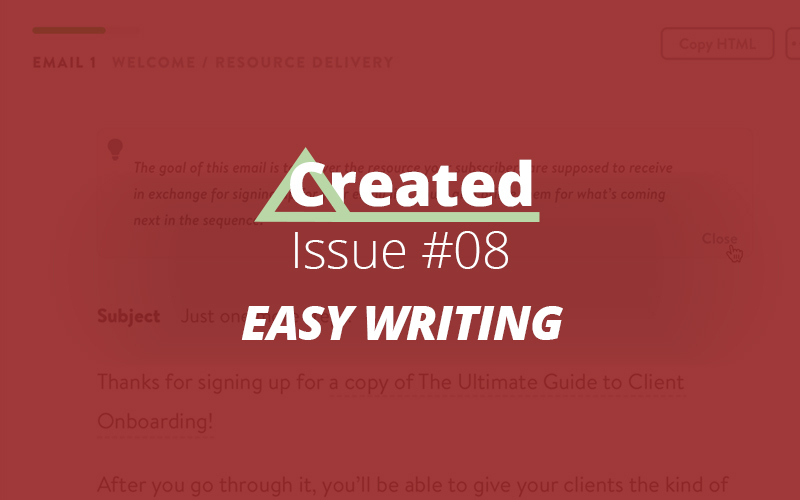 Writing Drip Email Sequence, Learn Writing Website Proposals, Handpicked TED talks for agency owners, 3D Mockup Generator, Create Social Profile Images, Make Fancy SVG Blob Images, Gutenberg CoBlocks, Enhance Online Productivity. Writing can be boring a process for a lot of online folks, even when someone has to write very important stuff. Like, writing emails contained in your email sequence never seem to finish or writing a long proposal for a prospective website client and so on. This edition focus on few easy writing resources. 1. Writing Email sequence… can be a boring routine but it can be very useful for conversions when done right. Drip Scripts helps you write high converting email sequences in record time (free access). 2. Writing Proposals… is another time drain task yet important for online workers. Check the Proposal Writing University, a free resource guide from start to finish about proposal writing from Better Proposals. 3. Few amazing TED talks… hand picked for design agency owners by Lee Jackson. Check the inspiring TED talks video listing for a useful binge-watch session. 1. 3D Mockup generator… lets you quickly create super cool looking visuals to show off your web designs in full glory. Check threed, a free browser-based generator tool. 2. Create perfect size photo… for social profiles at Facebook, Instagram, Twitter, Youtube, Pinterest. LinkedIn, Snapchat with free resizer tool. Just upload your photo, select the social platform and see a real-time preview with an option to download. 3. Fancy Blob images… to add extra fanciness to your web designs with Blobmaker tool. Choose your color, move the slider to the final blob shape and grab your SVG image for quick use. 1. Blocks for Gutenberg ecosystem is getting more and more attention. A lot of free blocks plugin have shown face and they look really promising. Coblocks is one of them and has recently added shape dividers and few more features to fancy up your blocks layout. 2. Do you want to become more productive while building client websites? Check amazing productivity tips, tools, and routines shared by a WordPress user – Tara Claeys in this podcast episode. Until the next time… how do you make your writing routines more easy and quick? Why not chime in the comments section below. Mark, glad you like it.